Security Researcher named Jay Patel from India donates his 1,00,000 Miles in charity to Red Cross Society. 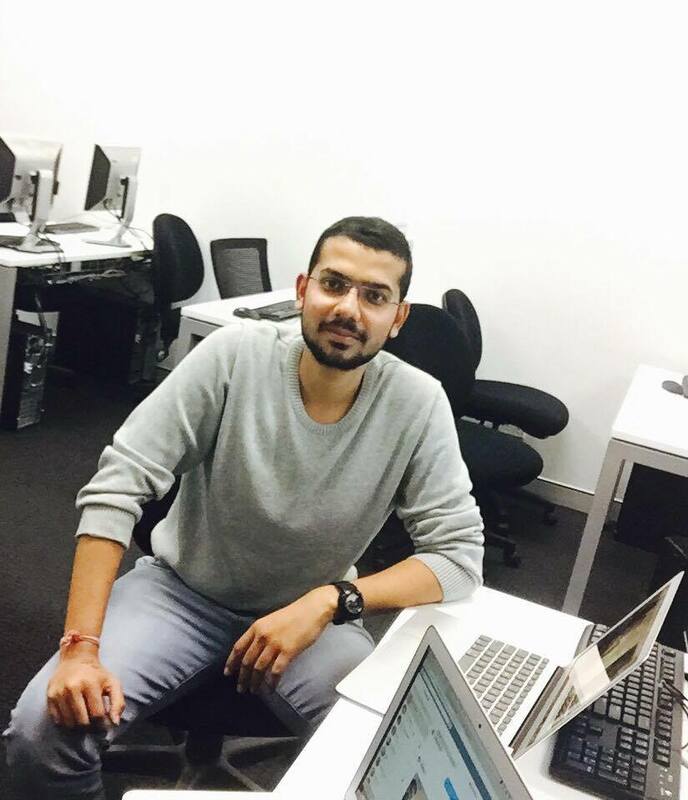 He is 23-year-old pursuing Master in Information Technology at Victoria University, Australia and Bug Bounty hunter. He founds more than 3000 bugs in fortune 100 companies with the hall of fame at Google, Aol, Bitcasa, ESET, Intel, Skytv, General motors, Sony, Trendmicro, Bugcrowd, Bank of America, U S department of Defense, Alibaba and many more. On Wednesday Jay donated 1 million Miles in charity after received from United Airlines, he find sever vulnerability in United Airlines many time and received 1.5 million miles till now, he said he spend more than 15 hour for finding such severe vulnerability every day. We had conversation with him over the call related to his work, interest and aim in cyber security. Jay: During my Bachelors I was a good at programming and decide to work in a same field, according to market there are lots of opportunity as a programmer but not enough money to sustain. So I decide to do my master degree from abroad and started preparation for that in between I heard about bug bounty program, cyber security and hacking stuff, it intrigued me to learn about ethical hacking. I started making friend on internet who knows hacking, one day a guy posted on Facebook that he got $500 from bug bounty and I ignored that but on second day again the same guys posted that he got $2000 from other company. Due to curiosity I sent him message and ask him how do you get this money and he explained me about Bug Bounty Programs. Then I started learning about bugs, vulnerability and hacking stuff. Jay: I started white hat hacking as my hobbies but when I found later that I would be a best career opportunity more me so I dedicate more time to hacking. I reported bugs to many companies but it wasn’t successful, my report was not correct or not in proper way according to them but I never feel down and learned more and more, one day I got that success for which I was waiting for to be in hall of fame of AOL, approximately I hunted 50+ website after that I became a proper bug hunter with knowledge so it means practise make man perfect is true and I believe that. Jay: I can’t give a perfect answer for that because till now I found more the 3000 bugs in that many of the bugs were informative duplicate. I earned good from bug bounty that’s why I keep doing it mostly private website and from that I earned approximately 5,80,000 in last 9 months with more than 50 hall of fame in AOL, Bitcasa, ESET, Flowthing, Mozu SplashId, Intel, Skytv, the email laundry, Wibit.net, General Motors, Digital Asset, Elastic, Sony, Trendmicro, Google, bugcrowd, Bankofamerica, BrickFTP, Basecamp, U S Department of Defense, PKC security, Alibaba, bl3p.eu and list goes on. Jay: Recently I was traveling and was waiting for my bus at bus stand, I found one guy was crying a lot so I ask him what happen mate? He told me silently that flood affected his home at his country and he don’t have money to send them to help them and his whole family and village is struggling for food and everything, at that time one thought came in mind to do some donation from my miles which I received from united.com as bounty, so I donate everything to red cross which help every flood people around the world and struggling for their life. Karan: what's your next goal or dream to achieve? Jay: My next goal is to crack 10,00,000 miles from united.com which is the highest bounty they ever given. If I will have received this bounty, so again I will donate these miles for Charity. I very conscious about my online security that is why i am sung VPN to secure my online privacy and i want to thanks https://www.reviewsdir.com/ for helping me in choosing VPN. Safehandsecurity service is known for providing uncountable services all limited with the latest access systems and techniques. Our team are well skilled and are capable enough to meet all the challenges and serving you with best and reliable security. Our services include, security guards, door supervisors, event security and much more.